If you are a beginner, membership might NOT be the right option for you! Click here to view our beginner packages. Not a beginner? Come here often? If so, membership might be the best option for you! Floor fee option is available for non members at $40.00 per day. This gives you the opportunity to participate in classes and take private lessons at member price for this day in addition to open fence. Please call us if you have any questions on the above information. 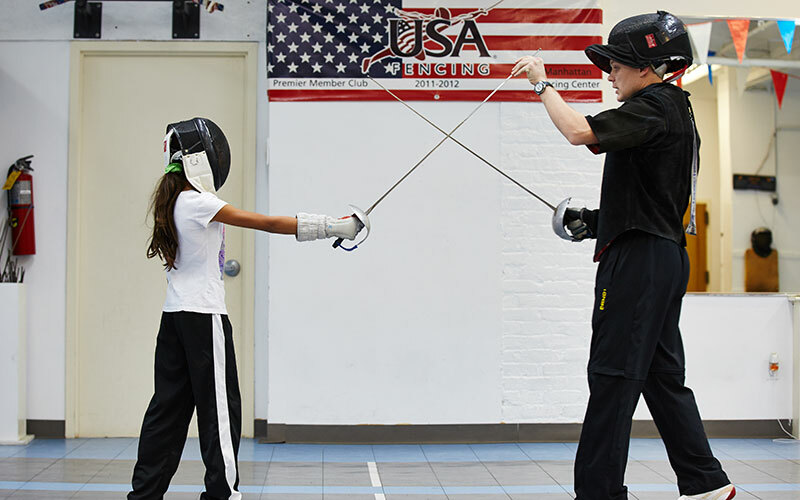 USFA Membership: Membership to the United States Fencing Association is required to participate in Manhattan Fencing Center activities. This allows you to enter any official tournaments and it provides you with insurance in the unlikely event of an injury while participating in any fencing activity. 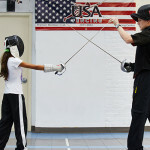 Liability Waiver: A signed waiver is required to participate in Manhattan Fencing Center activities. No exceptions. Equipment: Equipment can be rented or purchased on site. Provided for beginner classes free of charge. Please note: Full fencing uniform is required to participate in electric and dry fencing in addition to any drill activity. This includes knickers, underarm protector, chest protector for women and protective cups for men.